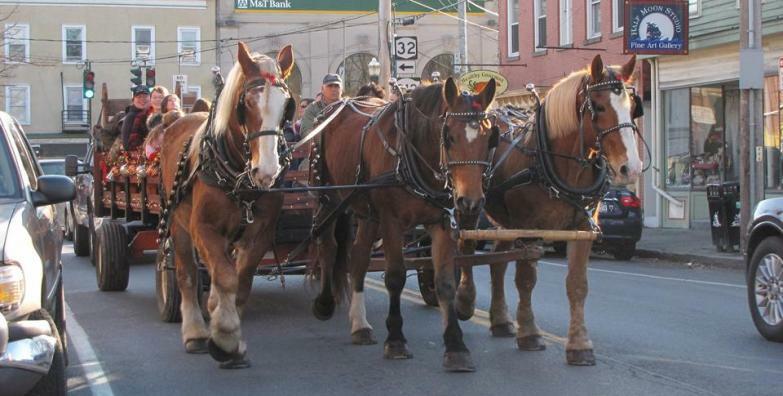 "Our youngest daughter won her 1st big bike during the Saugerties Christmas parade. You made her day - a moment to never be forgotten!" You rock! I love my drumset! Merry Christmas and thank you! "Thank you for the awesome bike that I got at Christmas In The Village. I love it!" 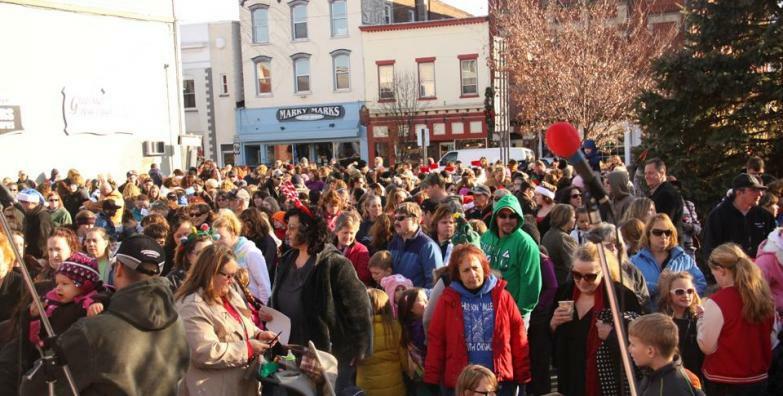 The Village of Saugerties was in full swing on Sunday, December 2, 2012 for the Holiday In The Village put together by the Saugerties Chamber of Commerce. 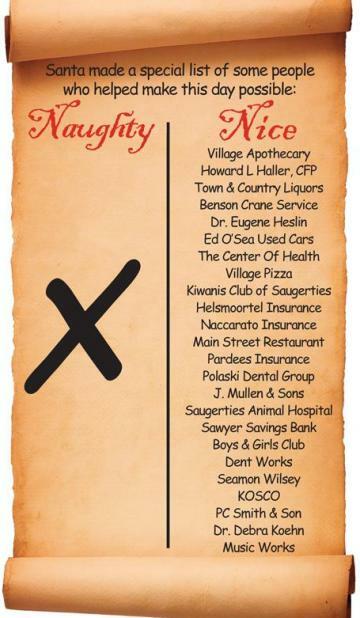 Over twenty of our village businesses were involved this year offering holiday cookies, hot chocolate, and craft projects for kids. 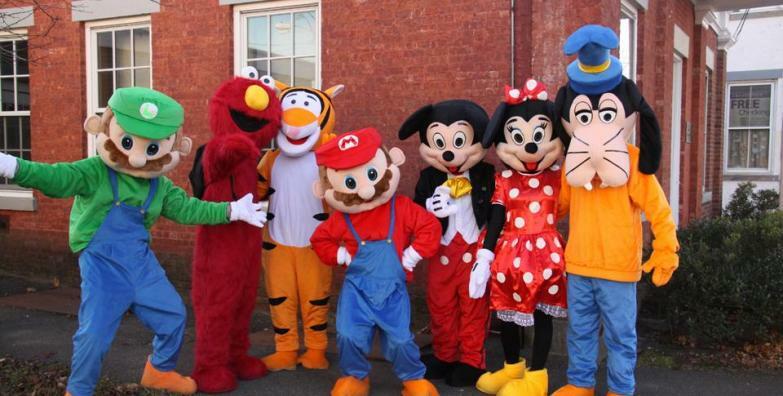 Storefront windows were decorated and you even had the chance to meet-n-greet favorite characters from Disney, Sesame Street, and Super Mario! This was our third year being on board with the Saugerties Chamber along with Sawyer Chevrolet and Ward Backhaus Collision. Last year, Sawyer Motors gave away over 200 awesome prizes to some very lucky kids. We raffled off over $10,000 worth of bicycles, Wii's, scooters, and power wheels. This year we kicked it up a notch and gave away MORE! Over $13,000 worth of prizes were given away this year. 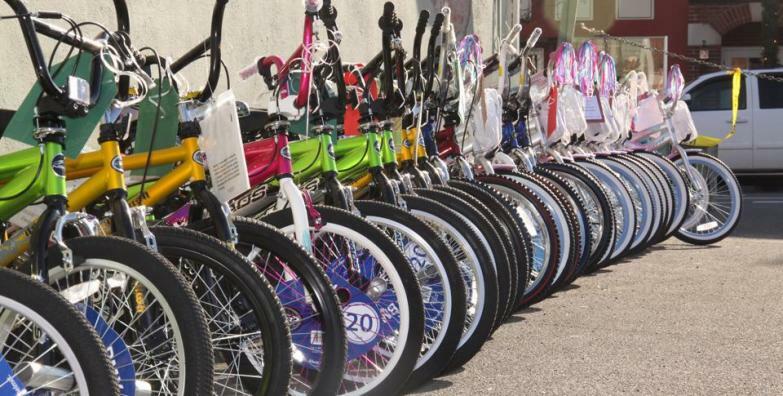 Our local kids had the opportunity to choose from over sixty bmx bicycles. Kids walked away with flat screen tv's, Wii's, MP3 players, video cameras, play kitchens, Razor scooters, skateboards, and so much more. In response to what we were doing, we received prize donations from other Saugerties businesses along with an anonymous donor. One of the grand prizes given away was a Fender guitar worth over $500. This was generously donated by Art Biscoglio from Music Works in Saugerties. At dusk, over a dozen of our local fire company trucks paraded thru the village streets completely decorated with christmas lights that danced to holiday music for the Fireman's Parade Of Lights. The parade ended at Seamon's Park for the annual tree lighting. The fire trucks were judged for "festive-ness" and trophies were awarded to the top three fire departments. With over 1,000 tickets given away, the entire day became such a draw for kids of all ages. We were even suprised to see that RNN showed up to interview owner of Sawyer Motors, Bob Siracusano and feature us on their nightly news. To put a smile on a child's face and give back to our communty for which we are so grateful for, made it priceless. And that's what it is all about!